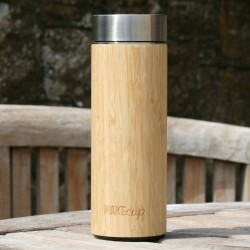 Stylish alternatives to single-use cups, bottles, bags and straws. 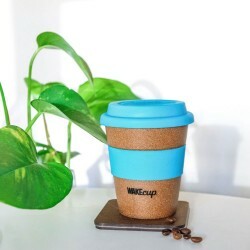 Global Wakecup was founded by old friends Buffie and Nick, who wanted to do something to address the issue of single-use plastic. Every year 100 billion single-use coffee cups end up as landfill - enough to fill The Royal Albert Hall a thousand times over. But with a problem this big, where do you start? 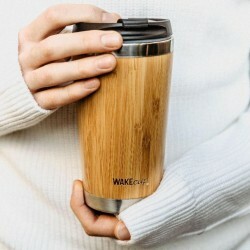 Global Wakecup aim to help by offering plastic alternatives, educating others, and supporting charities. 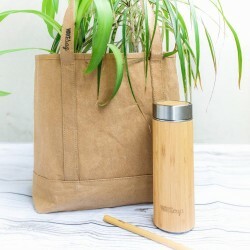 They have developed a range of alternatives to single-use cups, bottles, straws and bags, made from materials which are sustainable and recyclable such as farmed bamboo, stainless steel and double-walled glass. Global Wakecup donate 10% of their profits directly to their charity partners, The Marine Conservation Society and Plastic Oceans.